This fan-demanded character is available for the first time in the DC Universe and is the first ever DC Universe character to feature endoskeletal articulation! 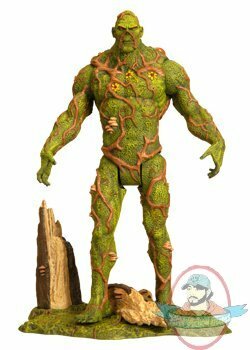 Vowing to protect the environment and his swamp home, Swamp Thing comes in a paper pulp mold of a Swamp Thing head that houses Swamp Thing himself! 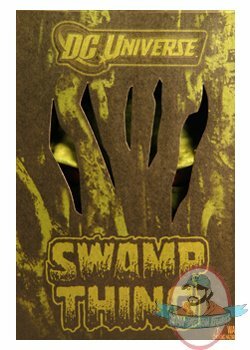 No ordinary packaging can contain Swamp Thing , so he’ll be packed in a shipper box with the Swamp Thing head peering out. Please note: does not include Un-Men Ophidian and Cranius.